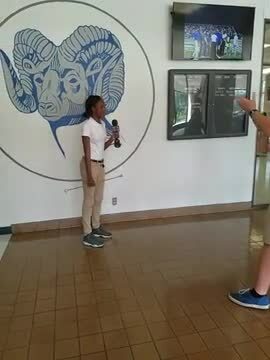 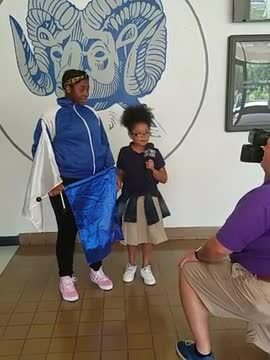 WSJH flag twirler and WSJE student share what they like about St. John the Baptist Parish. 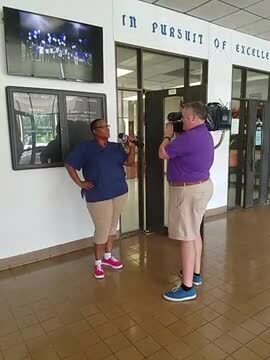 Jolene, high school junior and majorette member, shows why she likes St. John the Baptist Parish. 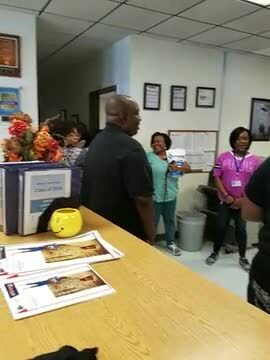 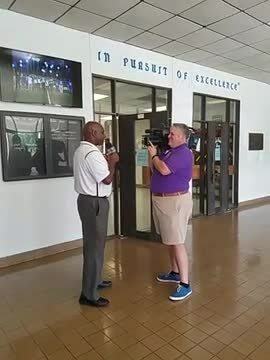 AP Spears presents Principal Hill with a gift from WSJH faculty and staff.